Luke Evans portrays Gaston in the Beauty and the Beast 2017 movie. The movie narrates the well-known Disney fairy tale about a monstrous-looking prince and a beautiful young woman who fall in love. Gaston is the villain of the movie. He wants to marry Belle, but she sees him as nothing more than a rude, selfish, chauvinist, barbarian-brained lunkhead who is unworthy of her time. Yet, we have to admit his style is irreproachable and we totally understand you want to cosplay as Gaston in Beauty and the Beast. 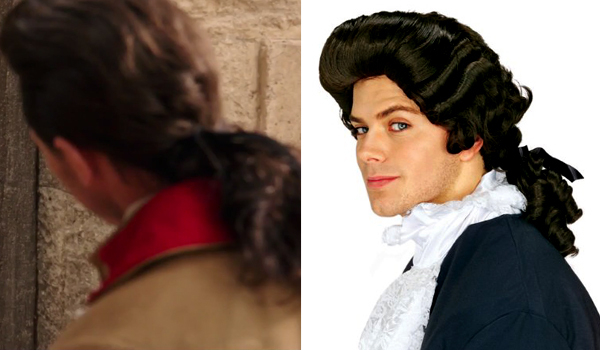 The hair style that Luke Evans has in Beauty and the Beast for his Gaston role is a black colonial style wig with a ponytail. 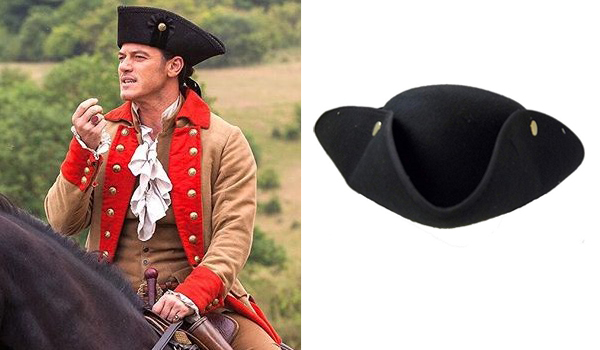 The hat that Luke Evans wears in Beauty and the Beast for his Gaston role is a black tricorne hat. 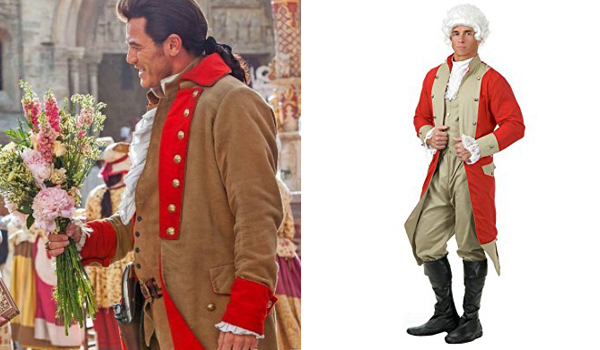 The outfit that Luke Evans wears in Beauty and the Beast for his Gaston role is inspired from the British revolutionary war coats. It is custom made but getting yourself a Red Coat will give you a very similar look. This outfit includes everything but the boots and wig. 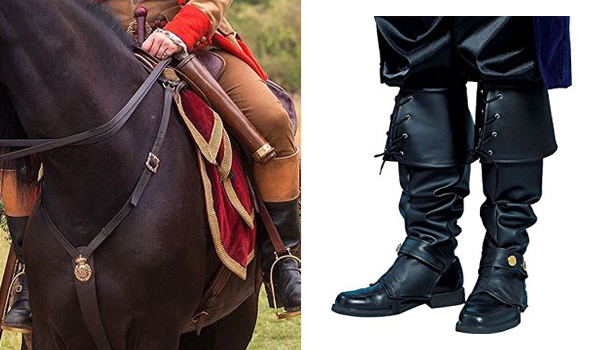 The shoes that Luke Evans wears in Beauty and the Beast for his Gaston role are black high boots. Since you probably already have a pair of black shoes we recommend these boot tops, intended to be worn over your black shoes, this will make you save a good amount of money ! 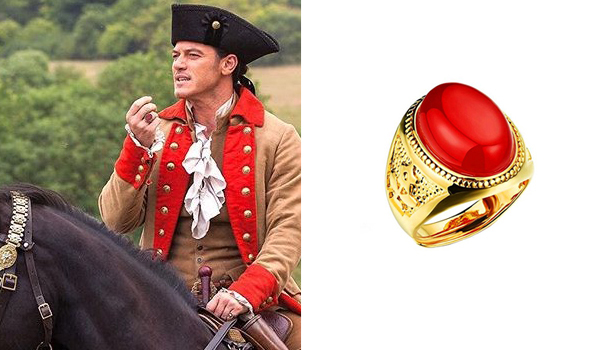 The ring that Luke Evans wears on his right hand in Beauty and the Beast for his Gaston role is a gold ring with a red oval rhinestone. 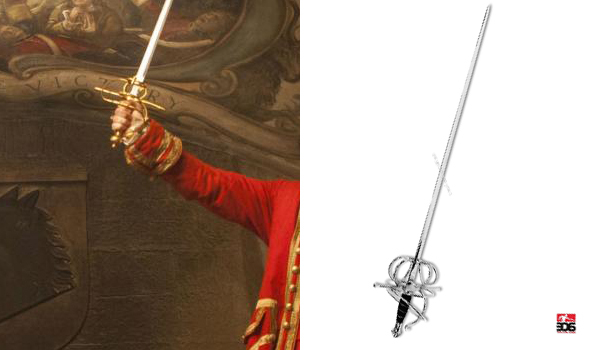 The weapon that Luke Evans uses in Beauty and the Beast for his Gaston role is a rapier sword with gold accents. This fencing sword looks just like it, but you may want to paint the steel wire gold to have a perfect replica. i really want some of the tan topped riding boots he wears in the film. does anyone know where i can find some? ?